When Mu Lin and Beibei decided to get married in May, they made a rather unusual request through an online post. It was neither the kind of post declaring that they planned to marry nor one asking for a blessing. Instead, they called on other couples planning to get married to join them in splitting the costs for necessities such as shopping for furniture and shooting wedding photos. To increase the chance of finding other couples to agree, Mu also sent out similar invitations on other social media like QQ and asked friends to help find prospective couples. They eventually found two other couples to join their cost-saving effort. Mu and Beibei's money-saving tactic has become known as pinhun - when couples who want to save costs do things together like booking a wedding venue, taking wedding photos and going on honeymoon, so they can take advantage of a group rate. "Wedding expenses are too high now. So we think instead of tightening our belt to host a grand ceremony, it's better to have a warm ceremony within our means," Mu from Jining, Shandong Province, told the Qilu Evening Post. Beibei managed significant savings on their wedding photo shoot, finding a studio which offered a "buy two, get the third one free" package. The photo shoot usually costs 5,200 yuan ($838). With the discount, each couple saved more than 1,700 yuan. 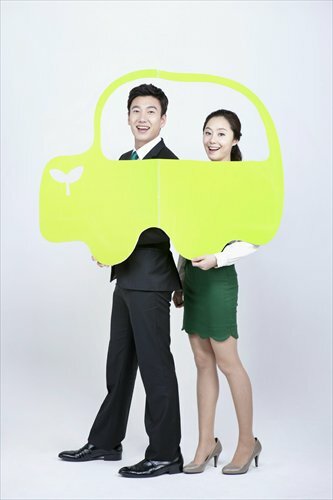 "Concepts like pinhun, pinche (car pooling), pinfang (sharing rent) and pincan (finding people to split dinner expenses), are all different forms of pinke (a term referring to people who advocate for splitting costs either with friends or strangers) for financial reasons," said Chen Gaoming, founder of the first pinke website in China, pinkecn.com. Chen said that when he started his website in 2007, allowing Net users to register and invite others to join a pinke activity, most people viewed it as a new thing to try out and some posted on the website to try pinke for fun. "But after 2011, pinke became a new lifestyle trend, especially among the post-1980s generation. It's very popular in big cities like Beijing, Shanghai, and Guangdong, Guangzhou Province," Chen told Metropolitan. A search for pinke on China's largest search engine baidu.com yields thousands of results, including pinke invitation posts and websites targeting pinke enthusiasts. According to reports, some companies like wedding planners and tour agencies are even catering to this trend, offering discounted rates for pinke groups. "The high living expenses in the city is the main reason for pinke. Those seeking pinke make use of the concept of going Dutch, making economic prudence the new fashion," Chen added. Song Jing, 25, who works in the field of marketing in Beijing, has tried various forms of pinke, like pinche, pincan and pinyou (finding people to split travel expenses). Song told Metropolitan that pinke is suitable for modern living and it is a "good way to redistribute personal resources, allowing people to share what they have to achieve a good outcome by spending less." Traditionally Chinese people are not open to engaging with strangers, and Song's request to join pinke invitations has been refused several times. But she noted that with the appearance of seemingly reliable pinke platforms, people's confidence in the trend is improving. "Take pinche as an example. Before I did not try it much because most of them used black taxi cabs and I did not know anything about the service or the drivers. But now with the launch of pinche services through taxi-hailing apps like Didi Dache and Kuaidi Dache, I can check the driver's information and read feedback about his service. Most of these drivers are well-educated people who are trustworthy. I even make friends with some of them," said Song, adding that she has now become a loyal pinche customer. Although pinche still largely operates in a grey zone from a legal perspective, the Beijing government released a document, giving pinche legal status, according to the Legal Mirror in April. Song said that she hopes to see the development of more pinke platforms and apps. Despite trying to save money through pinke, Chen said that pinke has also become a way of socializing, enabling people to expand their social circles. Wang Laihua, a sociologist from Tianjin Academy of Social Sciences agreed with Chen, pointing out this is the modern way of making relationship connections. 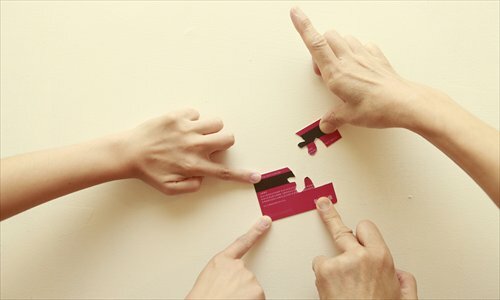 Wang told the news portal qq.com that the unique thing about pinke is that most people who participate are total strangers at the outset when they connect through the Internet and other social media. "Pinke to some extent reflects the loneliness of modern people and the narrowness of their social circles. It's the product of social progress and is a supplement to traditional social discourse," said Wang. Zhang Haifang, 31, a shop owner in Beijing, spends a lot of her time organizing pinke activities like pincan and pinyou. "I have been doing pinke since 2010. Most of participants for my activities are the post-1980s generation and those still in college," Zhang told Metropolitan. Most pinke participants live far away from their hometowns, so it's a major reason for them to join pinke activities and to build new connections with other people and ease the loneliness, she said. Initially Zhang was concerned that people would feel uncomfortable about doing things with strangers, when she first organized a tour to Yuanmingyuan, also referred to as the Old Summer Palace. But the trip turned out well. Fifteen people joined and they even found a pinke member working at Yuanmingyuan who offered them discounted tickets and a free guide. "Maybe in the very beginning, you may feel a bit uncomfortable. But soon you will find the pinke participants won't ask as many private questions like your friends would, which is good," Zhang said, having met dozens of new friends in this way. Zhou Xiaozheng, a professor of sociology at the Renmin University of China told Metropolitan that an important reason that the post-1980s generation likes to join the pinke trend is because they have a great need for emotional connections than earlier generations. "Most of those born in the 1980s are the only child in the family and they have no sibling bonds. So they tend to feel more lonely. Although pinke happens among strangers, they can make friends this way and fulfill their need for emotional connections," Zhou said, adding that the Internet helps to accelerate the growth of pinke. Yuan Ping'an, 22, tried pinyou two years ago. Unable to convince his friends to travel to Thailand and Malaysia, Yuan posted an invitation on the travel website qyer.com. Yuan admitted that when one agrees to pinyou, one needs to compromise. He had drawn up his own travel itinerary but other travelers did the same, so he followed their plans for the sake of consistency. "The overall experience was not bad. But I would still prefer to travel with my friends, which is easier and more relaxing," said Yuan. For many, the dishonesty of strangers can also be concerning. A woman surnamed Hou told the Xinhua News Agency that she has encountered people who left the restaurant before the dinner was over, to escape the bill. "Most pincan is a one-time thing. In such a situation, it's hard to recover the money from those who dodged the bill. So we have to let it go," said Hou, sighing about the pincan she experienced. Zhang said that so far she has not encountered a similar situation but advises that participants set out the ground rules from the beginning. Those who do not adhere will be blacklisted. Lawyer Mei Xiang from Zhejiang Zhongcheng Law Firm said that since most people engaging in pinke activities don't know each other, it will be hard to deal with any disputes that may arise. "Those doing pinke should always protect themselves. They should sign a written agreement first," Mei said. Chen added that it's best to choose to do pinke among a group of friends first, and one should avoid doing it alone with a total stranger. "Also for pinche which is in the grey area of the law, they should enter into a contract as to who is responsible should there be an accident," said Chen. "But pinke is a good thing, what we need to do is to up our guard to make sensible decisions."